Guest photo sharing, online event planning, and live event experience brought together as magic in our all-in-one platform for events. Keep your guests in the loop, highly engaged and deliver a complete before, during and after experience at your event. Boss Your Event. Rock Your Guests. FUN IS CONTAGIOUS, MAKE YOUR EVENT GO FUNTATIOUS! Bringing over 5 different services to an all-in-one platform for events was hard! but after hundreds of events worldwide and with our awesome customers, we think we've nailed it! We're bringing a fresh, and upgraded experience to events. An experience you and your guests will never forget. Use our awesome planning tools for a slick and hassle-free event planning while keeping your guests in the loop with your own website, app and private social network for your event. AppyVent walks you through the whole journey of your event. We provide you with online event planning tools for every stage of your event to make sure planning is a breeze and easy and that you and your guests have the best time at your event. Show off your event app and website to your guests, collect online RSVPs and start planning your event with our awesome, "even-grandma-can-use" online planning tools. Never miss a moment - You can't be everywhere at the same time. 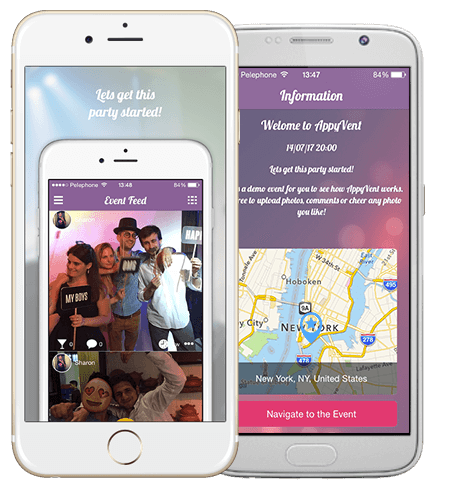 Appyvent lets you capture and collect all your guests photos, from all the angles in one place - in your event app. Browse and download your event photos, create unique video clips from your guest photos, get your event photos printed, send "Thank You" SMS/Email and much more. The first all-in-one event platform that provides you with all the tools you need to upgrade your event to an unforgettable experience. 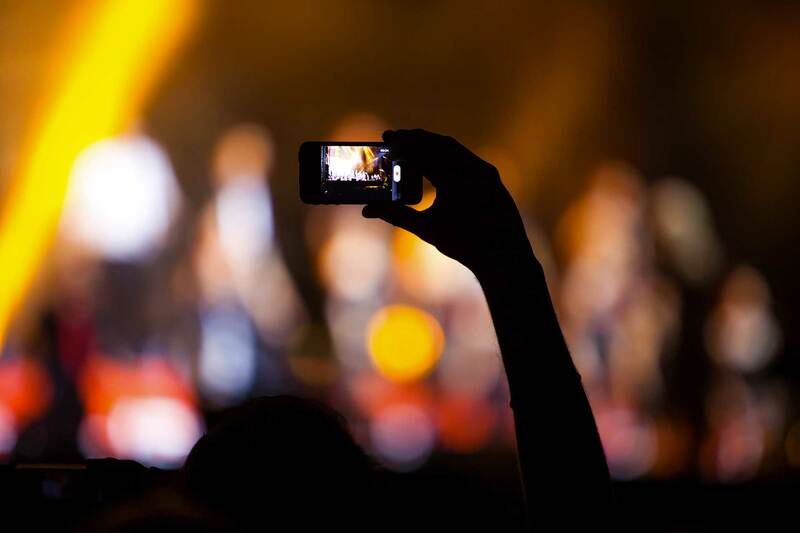 An Android/iPhone mobile app for your event - for you and your guests. Create, engage and manage your event community in a new way. A beautiful, mobile-friendly website for your event. Manage the look & feel and share with your guests. Collect all your guests photos in one place. Never miss a moment. Send Email/SMS RSVP requests or have your guests visit your event app or website to instantly RSVP. Get RSVPs done in minutes, not days! All your events in one place. Manage guest lists and RSVPs for each event and create different albums for each event. Manage your guest list in real-time with guests that RSVPed or joined your event app. You can also easily import your existing guest list. Display a real-time feed of your photos and guest photos on the big screens during your event. Send SMS, email and Push notifications to your guests in real-time. Track messages sent and who viewed them. Real-time event statistics of your guests' gender, social media visitors, top 10 guests, top photos, engagement graph and more. Make sure your guests don't get lost on their way. Driving directions, map and Waze/Google/Apple navigation is just a click away in your app.